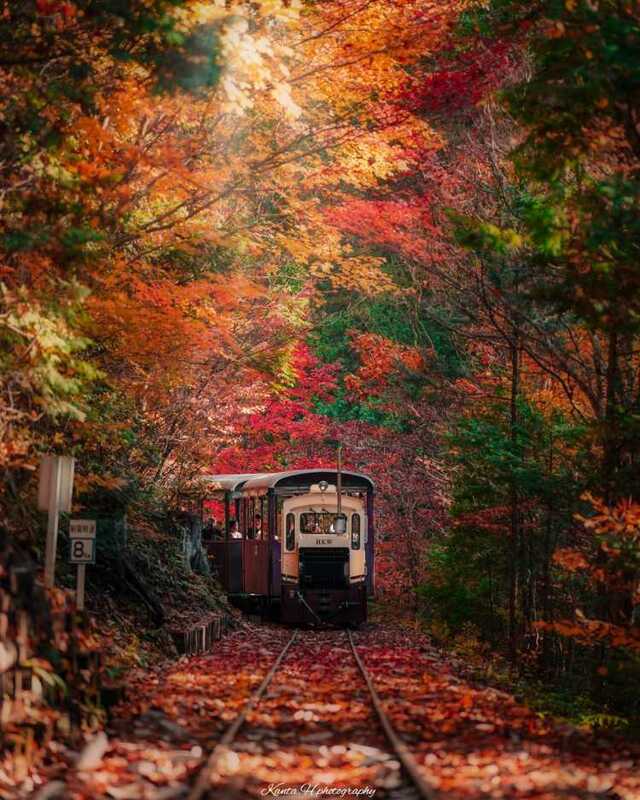 In the season of autumn colors, a train runs in the burning-red autumn colored nature. Have you ever seen such a beautiful and dyed-red place? I want you to visit once in your life.